CBC Marketplace, a TV series that investigates shoddy shake down artists and false marketing claims, has turned their focus once again on food companies. In the February 13, 2015 episode of CBC's Marketplace, popular foods with suggestions of health on the label are investigated, revealing the true nature of their ingredients. From fruit roll-ups that have only 10% of your daily vitamin C needs, carrot bread that has only 6% of your vitamin A, to misleading serving sizes, Marketplace shows us just how misleading food labeling can be. For the record a medium carrot has 204% of the daily value for vitamin A, and you can easily get 100% of your vitamin C for the day from either an orange, some broccoli, half a green pepper, a few strawberries. Where does that vitamin C in the fruit roll-up come from? Fruit maybe? Reading the ingredient list I see vitamin C is added, so.. not from fruit. Strawberry fruit roll-ups don't list strawberries anywhere on the ingredient list. It does have pears from concentrate, so there is fruit in there..
Fruit roll-ups are not anywhere near being even somewhat equivalent to fruit. They are a concentrated sugar source with dismal nutrient density. Flavoured sugar. From phoney yoga pushers, supplement pushers, to food companies telling you their sugar and salt is health food, we are inundated with lies and misdirection, and we get sucked in, nearly every time. We want health food that tastes like candy. We want our fitness delivered either by a magical mystic or a boot camp militant, or we'll trade off between the two, presuming we're getting the best of both. Part of it is being conditioned by the relentless marketing. A few years ago Nutella was sued for false advertising.. their health claims weren't true, but ask most people who eat Nutella and they'll tell you they think they're getting good tasting healthy chocolate nuts. They believed the marketing hype. Marketplace investigates Nutella in their post-lawsuit era, showing that they're up to the same tricks, just worded a little differently. Same thing with supplements. Would you buy a product that said, "useless pill that does nothing" on the label? While I believe that some people actually would buy that, most would not, but that's what you're getting when you buy performance supplements. When you're looking for "that extra edge" for making gains from exercise, most people will at least be intrigued by a label that say's, "Increase your power with super oxygenator", and goes on to describe how the pill has special ingredients that deliver oxygen to your muscles, and makes you go faster. The trouble is, there are no magic ingredients that make muscles take up more oxygen and make you go faster, but many sure want to believe it. We have a supply and demand system where consumers want unrealistically good things, and companies who understand consumer psychology who are willing to tell you what you want to hear. Part of it comes from the consumer wanting the very promise of hope that is targeted at them. The desire for unrealistic outcomes has to be pretty strong, because selling snake oil is nothing new, and the problem gets worse every year. Despite having the knowledge of the snake oil style of scamming, most people will wait in line to get ripped off, and immerse themselves in the culture of the scam, forming a symbiotic relationship where their dependency on wishful thinking is fulfilled by those selling false hope. People congregate in yoga classes convinced they are aligning their chakras with cosmic geometry, or at least that they'll achieve some little piece of health nirvana from their mysterious and wise leader that they give their money and time to. The yoga teacher tells you how you're going to feel, and wouldn't you know it.. people in the class claim that is exactly how they felt. When you buy and consume foods with health food claims, you're doing that because there is some sense that you might benefit in some way, you want the promise of health to be true. Same with the supplements. You get 10 people on the same supplement and you're likely to find that most of the 10 will support each others perception that the pill is working for them. Thats herd mentality, and it's very convincing. It's a form of confirmation bias. You want to believe something, and will find ways to perceive things in a way that supports the belief.. including feeling comforted by others who share the same distorted perception. Eat whole foods, mostly plants, sleep well, exercise smart, understand your deeper emotional motivators that can trip you up and lead you to these fakers. It can be disconcerting to have our perceptions challenged, especially if we're invested in them, but what if it's a well orchestrated ploy? I'm not talking about an abstract, edgy conspiracy theory, that's for the tabloids. I'm talking about commonly exposed fakery like misleading food labels, false health claims, and false exercise claims. If you've been buying a supplement for the past few years that you've sworn by, but really you've been sucked in and it's all been power of suggestion, placebo, and your own wishful thinking clouding your judgment, it can be pretty unnerving to face that. If you've bought into the pseudo-caring presentation of a yoga scammer who's been telling you they're aligning your inner power when really you're being indoctrinated into a cult (yes, it really can get that bad); that can be pretty tough to see and walk away from. It's even harder to walk away when the seller you're buying from has been fooled themselves, and they believe in the deception. This makes it harder to see the lie, because the seller actually believes in what they're doing. I've met supplement sellers, trainers, health food sellers, and yoga instructors who have been completely bamboozled themselves, and they really believe they can help people with their spurious claims.. only.. they think their claims are factual. These folks really do care about helping you, but their genuine caring has been hijacked by the very promise of hope they're selling. Because what they're selling is fake, they can't actually help anyone, but through indoctrination, placebo, and cognitive illusions like confirmation bias, they are aloof to the whole ordeal. That's a real clustermuck to overcome. Your inner strength isn't going to come from some enigmatic source.. it comes from you taking the time to learn about what healthy eating and exercise is all about. It will come from developing a more realistic sense of self where delayed gratification has more power than instant gratification, and where you feel comfortable and confident in verifiable facts, rather than spurious claims targeted at your sensibilities. Sellers of hype need to be held accountable within our laws, but that isn't going to happen anytime soon. Don't hold your breath. Instead, find your own accountability and avoid things that seem too good to be true, or that sell overly hopeful outcomes. It turns out, that you can have the better health, the lower stress, better performance, and get all the healthy nutrients you need, from never buying into any of the hype, and taking the time to do it right. Do this, and you'll feel good for real.. instead of faking out yourself and buying into the hype. There is a rash of news reports on obesity experts claiming diet and exercise don't, and can't work, for weight loss. Claiming that diet and exercise can't work for sustained, healthy weight loss is the most insidious, callus, and harmful advice possible, yet this is the fastest growing trend in the battle against (sic) obesity. This kind of disillusionment applied to the only effective treatment for obesity and weight loss is robbing people of their only possible help. People will continue to suffer. Many don’t “believe” that permanent fat loss can occur, because they are emotionally compromised by the dismal failure rate and all the of the physiological and psychological challenges to overcome. If we stay with the evidence of what works though, and work harder on delivering that, then the success rate will climb. It's important to recognize how confidence inspiring the evidence is for permanent fat loss is, rather than focussing on the failure. Diet and exercise, along with substantial cognative and emotional work, every time, without exception. Deviate from that process though, and failure is imminent. If you came across a shovel next to a spot where a hole was intended to be dug out, but wasn't, it would be wrong to conclude that shovels don't work. Pick up the shovel, start digging. If you stop digging, it still would not mean that shovels don't work. Progress was halted by stopping the action that causes progress. If you buried the evidence by shovelling the hole back in, you would not be changing the reality that the hole was successfully dug in the first place. Start digging again, and you'll make progress again. Claiming that regaining weight after weight loss is outright failure, is about as misleading as saying that shovels don't work. Fat loss without a calorie deficit simply cannot occur other than with invasive surgery, and if there aren't lifestyle changes to accompany that surgery or calorie deficit weight loss, failure is the typical outcome. We know the chance of successfully reversing long term obesity and excess weight is virtually zero.. only about 1% of people who try to get down to a healthy weight are able to succeed beyond the 5 year mark, and maintain it for the rest of their lives. So what causes the failure? Returning to previous overeating habits. More calories in than out causes fat gain. It isn't the case that lifestyle changes don't work, they do. What happens is people halt the positive habits because they didn't completely overcome previous negative habits. Overeating feels very rewarding, and moving away from that reward feels like reward is being stolen. If the work isn't done to make new reward associations with living healthy, people will feel compelled to return to previously established unhealthy habits. If we don't overeat, we can't gain excess body fat.. that is not an oversimplification, that's physics. Person loses fat with diet and exercise, or tries, but compensates temporary caloric deficits with overeating on weekends or other times. Person struggles with the new lifestyle changes and feels compelled to return to overeating and not exercising, or eats more food energy than is burned off in exercise, creating a cycle of more exercise, and more overeating.. whatever the course, a calorie surplus is sustained. Most people succumb to the drive to return to overeating, and either quickly or gradually gain all the fat back that they lost initially.. often returning to a higher body fat than before. The diet and exercise worked. That's what caused the initial weight loss. When the person stops eating healthy, and begins overeating again, obesity returns. This is not a failure of diet and exercise, this is evidence for how difficult people find it to move away from the harmful habit of overeating. Overeating is a sinister and tenacious habit driven by appetite dysregulation, dopamine reward seeking, using food to cope with stress, depression, low self esteem, peer pressure to overeat, and automated eating habits where there is a tendency to keep eating without cognitively registering the fact. Diet and exercise don't fail, people fail at sustaining diet and exercise. It isn't that diet and exercise are not sustainable, it's that people fail to disengage from previous habits and values, how they think and feel about food, and feel compelled to return to the perceived reward of overeating. These are the ties that bind, and there isn't a very good chance of permanent weight loss success without being vigilantly supportive of helping a person overcome these challenges. To make matters worse, "failure" is an ugly word that carries with it negative personal judgment. It's important to not allow the risk of failure to be avoided by sticking our heads in the sand, but rather to accept the possibility of failure, and work on adopting strategies to overcome the high risk of failure. Weight loss failure is about halting the effective diet and exercise, and returning to overeating. The natural vulnerability to this failure is covered up and ignored because it is emotionally difficult to process the experience of gaining weight back. The most difficult challenge that I have seen in working with people to lose weight is always in establishing new reward associations with diet and exercise, and being able to identify and overcome the ball and chain of feeling compelled to overeat. There are usually deep personal issues, painful issues, feelings of worthlessness, fear of failure, getting trapped in cycles of high hopes followed by dismal failures, and an unrelenting reward association with eating too much. This is combined with true changes in appetite hormone regulation. We know that chronic overeating results in a chronic change in feeling hungry. You'll feel more hungry than what is needed for sustenance. We know that larger serving sizes are needed to feel satiated. And, we know this is reversible, that a person can return appetite regulation to normal status, but, and this is a significant contingency, it takes a long time to make this happen. Sustained healthy weight, and sustained healthy eating is necessary to allow for these adaptations. The combination of physiological, psychological, and sociological drives to overeat make it an extraordinary challenge to reverse obesity permanently. It can be done though, with diet and exercise. In personal conversations with overweight individuals, I have always witnessed personal suffering. Suffering physically, suffering emotionally. I'm told of how awful it feels to struggle to tie ones shoelaces because of all the body fat in the way. I'm told about the teasing, the disparaging looks. I'm told of the sore knees, sore feet, sore pretty much everything. Can't get comfortable sleeping. Can't get comfortable sitting, health issues caused by being overweight and the extra stress that burden carries. I'm told that many of these struggles are deeply internalized and never voiced due to embarrassment and feeling at risk of being humiliated. Do we make fun of someone when they suffer from cancer? From an injury? No? I hope not. Likewise it is very disrespectful to make fun of someone for gaining body fat. Empathy and understanding anyone? No? That's another significant part of the problem. What gives here. The majority of the population is suffering from weight gain, yet most of us can't wait to overeat the next whatever, and we permit discrimination and alienation of people who are overweight. We're discriminating against ourselves, and mocking our own habits. If we're not overweight, we will have a close friend or family member that is suffering from obesity. Get your stuff together people.. wake up to the real life suffering of those close to you. Feeling trapped by eating and compelled to continue overeating. Trying to ignore the acknowledgement of self-harm. Hiding overeating so others can't see it, and feeling emotional torment when doing so. That's the reality of struggling with weight that I know. I don't see any of that reality mentioned when the catastrophically misinformed, spew forth their aloof claim that diet and exercise, and lifestyle changes don't work.. and suggesting this is all a big mystery that isn't understood. It is understood, and it's hard. It's hard to overcome the real challenges of chronic overeating. It's hard to feel so vulnerable about your weight that you can't begin to talk about it or the uncomfortable emotions that plague you. This is the reality of weight loss. Changing your life works, but.. you have to change your life. Change how you think, how you feel, change your actions, habits. And all the while fighting the hounds of temptation to keep eating. There is a lighter side. There is the acceptance of the process, learning to enjoy new foods and learning to un-like the crap foods. Feeling empowered by losing weight and getting stronger. Feeling empowered by recognizing there is a way out, and every step of the way things get better. You sleep better. You're able to see the inner workings of appetite and what drives reward, and that you can alter all of this in your favour. The clincher for me is the 1%. Do what the 1% of people who are permanently successful with weight loss do, and the success will be repeated. This is where the focus should be. Focus on what is proven to work through research, and improve ways of delivering this to people in need. To beat obesity we have to avoid the current trap of being overwhelmed by the failure rate, and apply due diligence to the success rate. We have to move away from wishful thinking and avoidance of why weight loss failure happens. Knowing about the common failures is empowering. It's like knowing about potholes in the road before you get there so you can get on a different road. More importantly we have to prevent obesity from occurring. We live in an obesogenic society where we cherish overeating and have distain for healthy portions. We coax each other to go back for seconds and thirds, haplessly laughing it up as we overeat. We believe serving our friends and families enormous portions of food is showing our care and appreciation, when really we're causing harm to each other. That's not working for us. When we give large servings of fatty, salty, sugary foods to our friends and family, to our children, we are unwittingly training them to chase an exaggerated reward sensation. You can't get that kind of brain reward centre stimulation from healthy foods, so crap foods become the preference. We're carrying on the traits of our obesogenic culture. Children represent the fastest growing segment of our society for fat gain and obesity. Adults are still gaining fat every year. And yet most can't wait for the next gathering where overeating is the central theme we congregate around. We can show our caring for one another by making healthy meals, instead of crap that harms. Overeating has got to go the way smoking has, finally seen for the harm that it really is, and that we've only been fooling ourselves by putting so much emphasis on overeating as part of every occasion. We lose fat through calorie deficit. More importantly, we prevent excess fat gain by changing our relation with food.. enjoy healthy portions, and get out of the trap of believing that overeating is a priority in life. 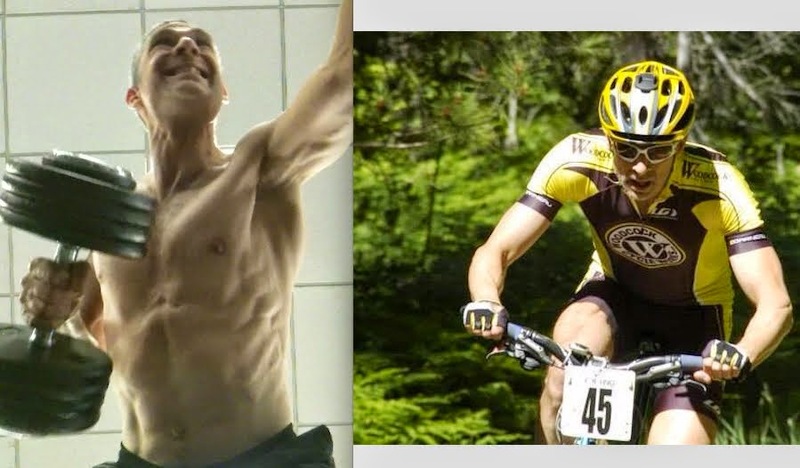 What is the point of repeating the cycle of fat gain and frustration with fat loss by continuously returning to celebrating and cherishing eating too much and eating crap? Don't succumb to the misguided and denial based notion that fat gain occurs because of some unexplained mystery of genetics or metabolism, and that because of this, diet and exercise can't result in fat loss. This "explanation" is used as reasoning to continue chasing the reward of eating too much.